As a business leader, you have to do more than just decide which equipment, assets and supplies to purchase. You also need to know how to minimize the losses associated with spending your money. In an ideal world, you’d be able to spend freely, but now that you run a company, you’ve got people and partners that depend on you. Your decision to apply for the best debit card could reshape your organizational future. The Perils of Credit: Should You Apply for a Debit Card? Many credit card companies advertise their products by touting their supposed ease of use. In reality, however, there’s a significant gap between the way conventional cards should work and the lackluster performance they actually deliver. If one of your drivers uses their card at a gas station terminal where someone installed a card skimmer, then your entire business account gets compromised. Since all purchases draw from the same account, you can’t see which routes incur the greatest fuel costs. Credit cards include annual fees that drive up their minimum cost of use and incentivize you to make purchases that might be nonessential. Such expenses are notably absent from debit card usage policies. Although your bank extends you a line of credit, it’s a double-edged sword because you can’t control your drivers’ spending habits. Their mistakes compromise your credit rating, and if they unwittingly spend funds that you don’t have, you’ll pay the price in debt. True, you can mitigate some of these problems with strict staff hiring policies designed to find trustworthy candidates, but such tactics aren’t foolproof. Credit opens businesses up to undeniable risk. If you routinely make purchases from business partners that you’re trying to build relationships with, then using credit can subject them to higher fees every time they swipe. No wonder it’s so hard to foster goodwill. 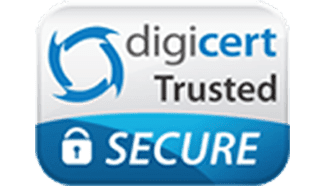 Why Apply for a Debit Card? What makes business debit cards so much better? In addition to neatly sidestepping all of the problems we just covered, companies that use debit typically enjoy more exhaustive services. When you apply for a debit card, you’re signing up for a payment method that draws money from an account, not a line of credit. Since debit service providers like Bento for Business aren’t taking on as much financial risk to facilitate your payment method, they can offer fairer terms. For instance, you don’t have to worry about things like your APR rate changing while you’re looking the other way or being assessed huge late fees for falling behind on your bills. Companies that apply for a debit card instead of a credit card get more straightforward services that are closely linked to real-time account activity. They can also implement effective spending management practices and security measures to avoid mishaps. 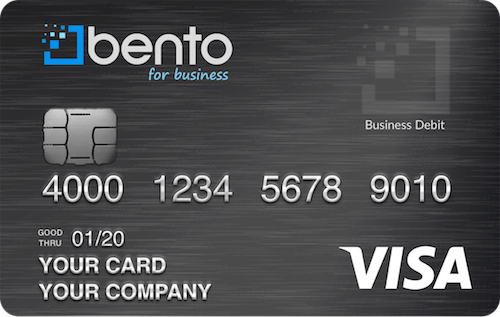 Who should apply for a debit card like Bento for Business? It’s right for any company that would rather not sign away control over its finances to some bank that couldn’t care less about the outcome. Call 866.220.8455 to begin your complimentary 60-day trial and apply for the best business debit card now.